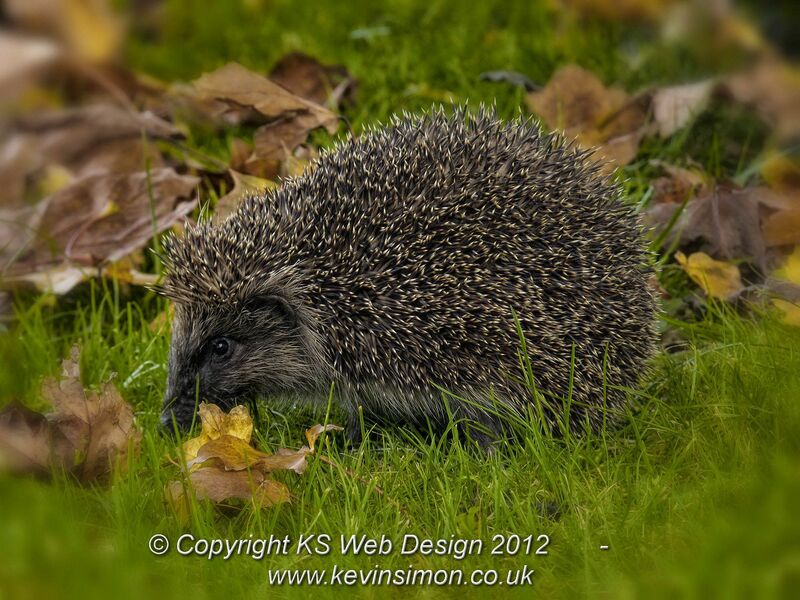 About mid October we found a hedgehog out in the day, we thought we had done the right thing, but we then found out we should have done things a bit different here is the story so others can take advice from it. I was looking out of my living room window and a coldish Saturday mid afternoon, and noticed a car pulling up in the road and someone getting out, there was a hedgehog in the middle of the road, I shouted down that we would bring a towel to help move it out of the road, so we went down and my partner had got it wrapped up in a towel to move it to safety. Now I live in a apartment block on the first floor, so in front of the block there is a large grassed area, so we moved the hedgehog to here, but the hedgehog then started moving to the towards the road again, to we gathered it up again and because we have a lot of large trees around the gardens there was a lot of leaves so we gathered them up into a large pile and put him closer to the block, we let him settle, and went back into the house. I know that Hedgehogs are nocturnal and don’t normally come out in the day but he looked fine and was moving all ok, so a quick check on the net said about that if a hedgehog is out in the day they could be injured or have parasites in there spikes, we had already looked at him and didn’t seem injured, some of the sites said put them in a high sided box and feed and try to keep warm now because I’m in a apartment block this was impractical. we then looked out of the windows and again he had moved in the same direction towards the road, So we decided to move him to somewhere safe now where i live is just by chasewater park, and this is the way he was heading so we decided to move him to there. We got a largish plastic box and put leaves in the box and a towel over the top, and was very careful carrying him, we only had to go over the main road and this is the one entrance going to chasewater park which there is a large wooded area, we went away from the main track and got him out of the box. This area is a bit secluded and where dog walkers don’t really go as is a dead end for the path, there is a lot of coverage by trees and foliage, so though he would be safe here and this is the direction he was trying to go, and only about 500 yards away from where I live. we let him out of the box and he was curled up into a ball, after a few minutes he got up and started to move again he was walking ok and moving pretty quick and didn’t really mind us being by him, see the video below, we watched him for about 10minutes and he seemed fine so we left him as he seemed fine. After we got in I did another search on the internet and then found out we should have taken him to a animal rescue sanctuary, I then found one local and after a few tries of getting through spoke to a lady explained where we was and what we had done with the hedgehog and she said we really should have contacted her first and brought him over she asked about the size and if any injuries which we had noticed any injuries as was moving ok, so I said would go back and have a look to find him. So I went over first and my partner her son and my daughter followed we spend nearly 30 minutes looking for him but couldn’t find him anywhere, though when we went out to look for him this was about 20 minutes after we had left him. OUT IN THE OPEN IN DAYLIGHT! !